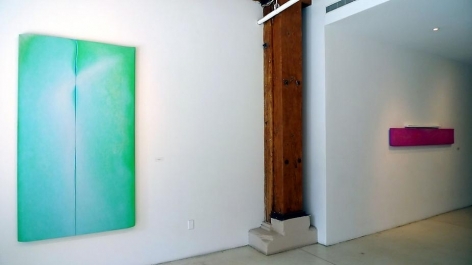 Robert Yasuda composes subtly iridescent paintings suffused with luminous color. 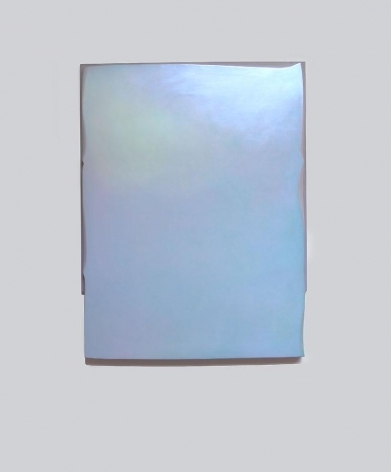 For his first solo exhibition at Sundaram Tagore Gallery New York, the Hawaiian-born artist presents a new body of work investigating the fugitive qualities of light and human perception. Layering acrylic paint and sheer, woven fabric atop sculpted wooden panels, Yasuda builds surfaces that are at once ethereal and architectural. 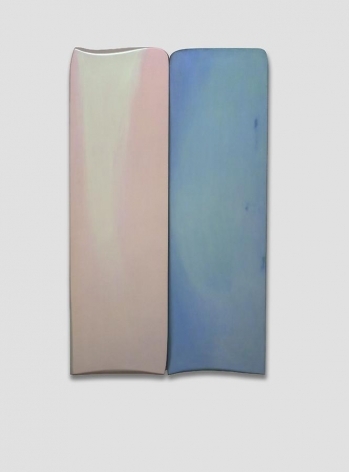 His works assume different guises according to changes in light and the viewer's vantage point. Yasuda steers the viewer's act of looking: His subtle details slow the perception of his work, forcing viewers to navigate a shifting terrain of color and diaphanous veils of paint. 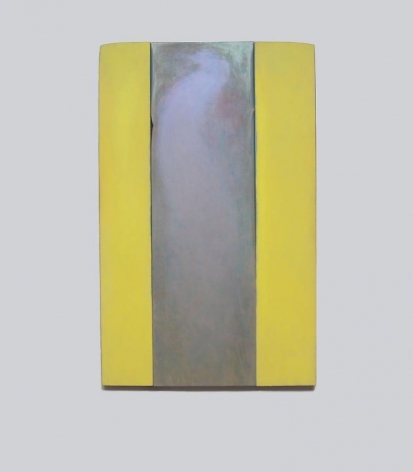 Defying the traditional boundaries of painting, Yasuda's works possess a floating quality. He carves wooden panels into unusual forms with sharp upturned corners, softly rounded edges or subtly curved contours. 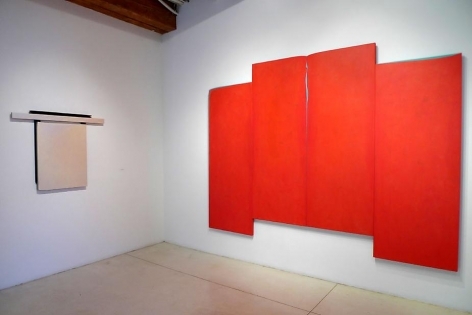 Attaching covert cradle-like wooden structures behind several paintings, he forces the works forward into space giving them a distinctly sculptural quality. 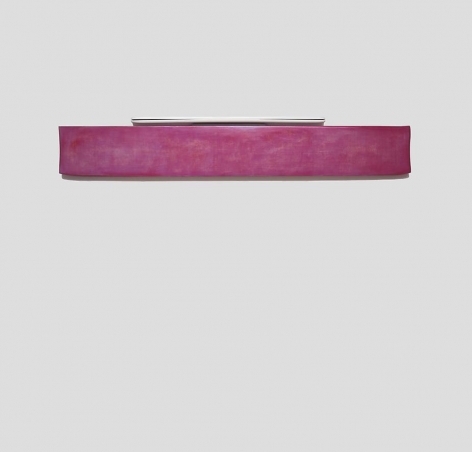 In other cases, he suspends his works from narrow supports creating dramatic T-shaped compositions. Yasuda is continuously rebelling against the conventional painting frame and introducing new means of context and framing. Yasuda often paints the back and the sides of the wood in slightly different shades of pearlescent color than the surfaces. The paintings are then hung in such a manner that they deliberately protrude about half an inch from the wall, thereby casting colored shadows. The traces of opalescent pinks, blues, greens, pewters and bright yellows are constantly morphing. Integral to the work is its mutability. As the artist explains: "I am trying to create visual symbols of transcendent moments both in the act of perception and realization." Born in Hawaii, Yasuda moved to New York City in the late 1950s where he attended the Pratt Institute, Brooklyn. 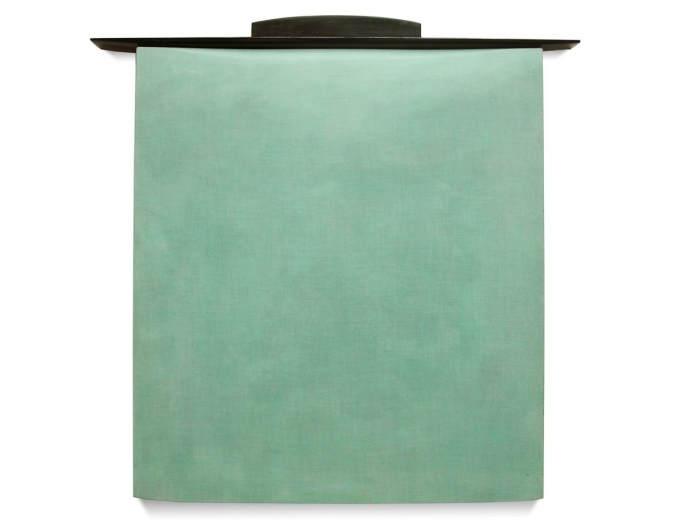 He began exploring themes of perception, light and nature in the early 1970s, producing resoundingly abstract paintings. He would dry the delicately layered canvases under the scorching sun in Florida, where he still spends half the year painting in the Keys. Increasingly, he became fascinated with the different character of his works when viewed in natural light versus artificial light. Simultaneously, the artist developed an interest in transforming one's perception of a room and its architecture. 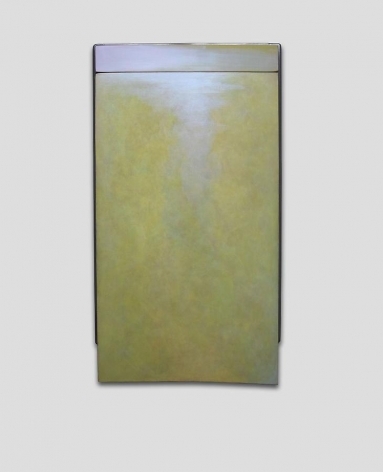 This gave rise to his luminous multi-panel works and bold two-panel paintings installed in corners. 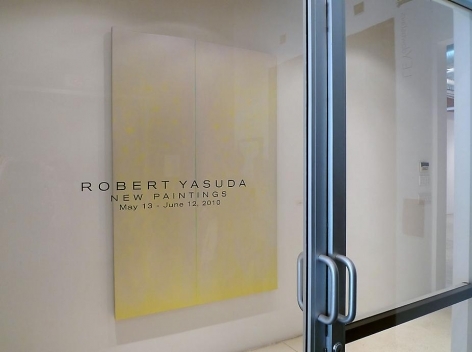 Robert Yasuda has exhibited extensively across the globe. He has been recognized with awards from the National Endowment for the Arts and the American Academy of Arts and Letters. 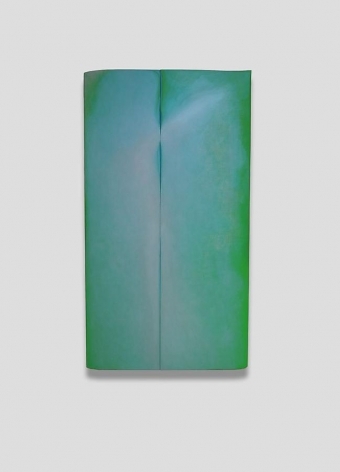 Yasuda's works are in the permanent collections of The Brooklyn Museum, New York; The Library of Congress, Washington, D.C.; The New York Public Library; The Bass Museum, Miami, Florida; Carnegie Institute, Pittsburg, Pennsylvania; and The McNay Art Museum, San Antonio, Texas. 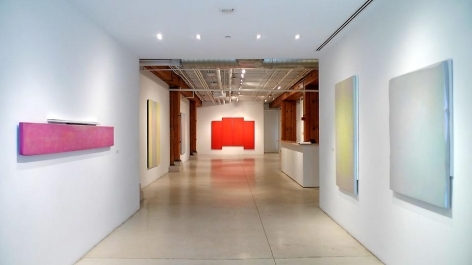 For more information please email gallery@sundaramtagore.com or call 212-677-4520.